Carve that date into your calendar with a knife. Or, y'know, tap it into your iPhoning device. CX season is starting to wind up but that does not mean you get to throw the CX bike in the shed until next year! Keep it dialled and come out for an MGG ride - we promise it won't be as intense as a CX race, though we can't guarantee you won't have to shoulder your bike at some point. Short track CX racing, ridiculous costumes, silly race formats, it's going to be... incredible. 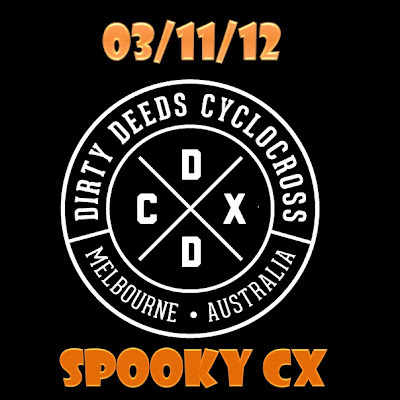 Come and kick back with the Dirty Deeds crew as they chill the hell out after another banger of a racing season. Are you doing it on the same day as ATB on purpose? Nope, that's just how the dates worked out.